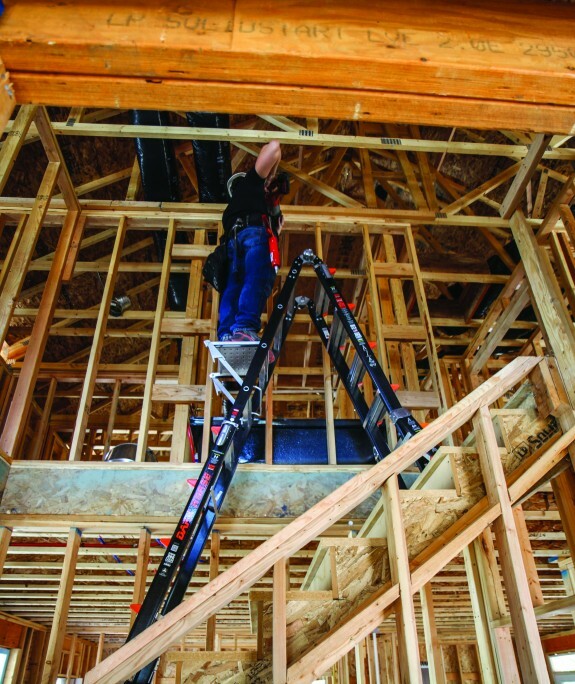 The Dark Horse is the only fibreglass multi-use ladder on the market. 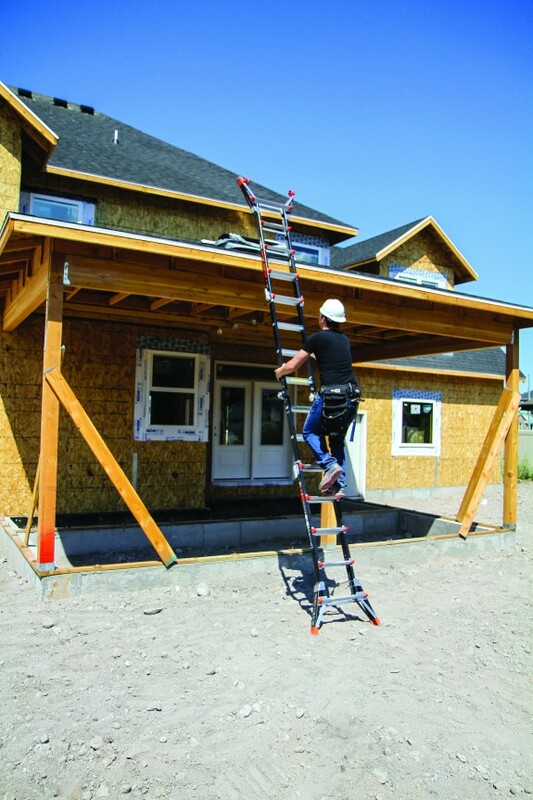 Its wide-flared base provides much more lateral stability than straight-sided step or extension ladders, preventing many accidents caused by over-reaching. 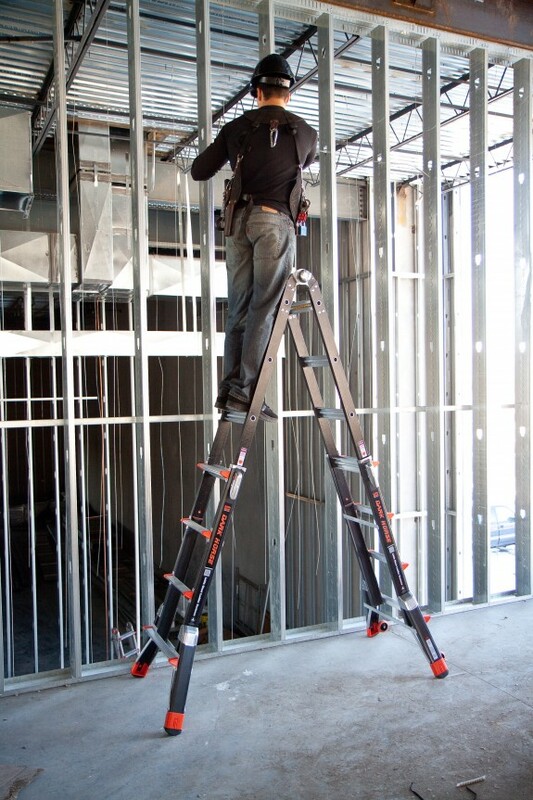 And because it is constructed with super-lightweight, super-strong, non-conductive fibreglass composite, the Dark Horse is a versatile tool for any job site. 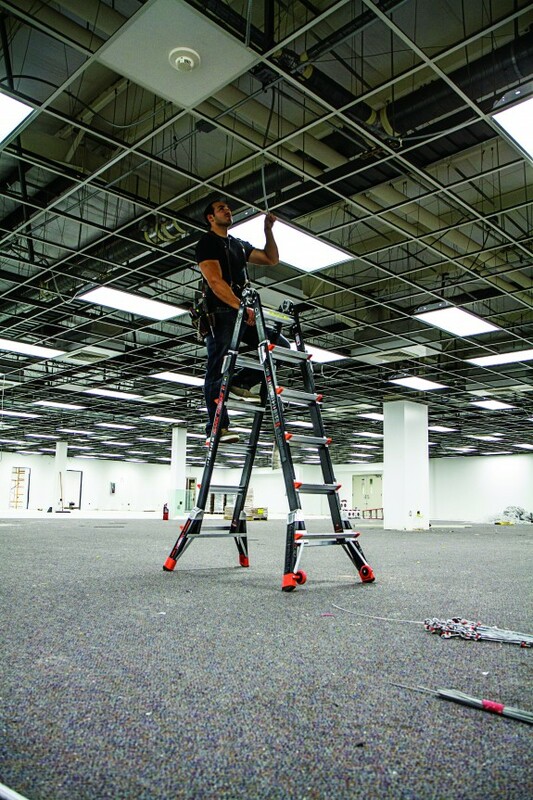 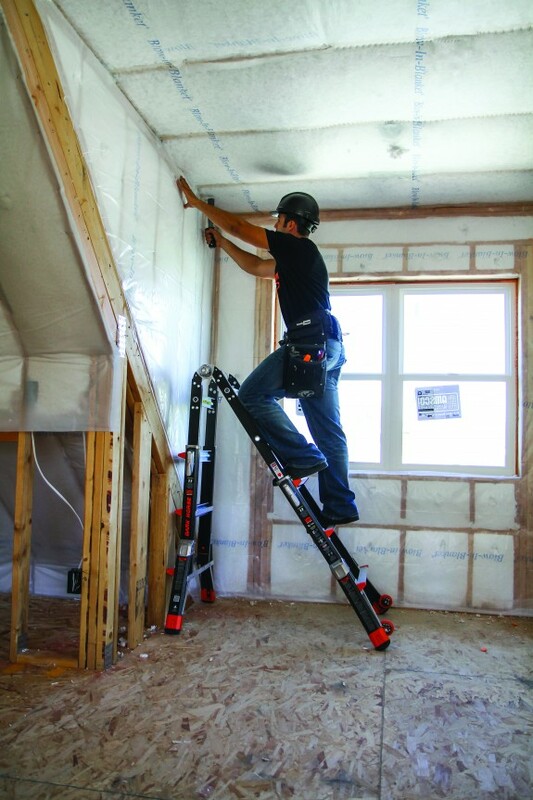 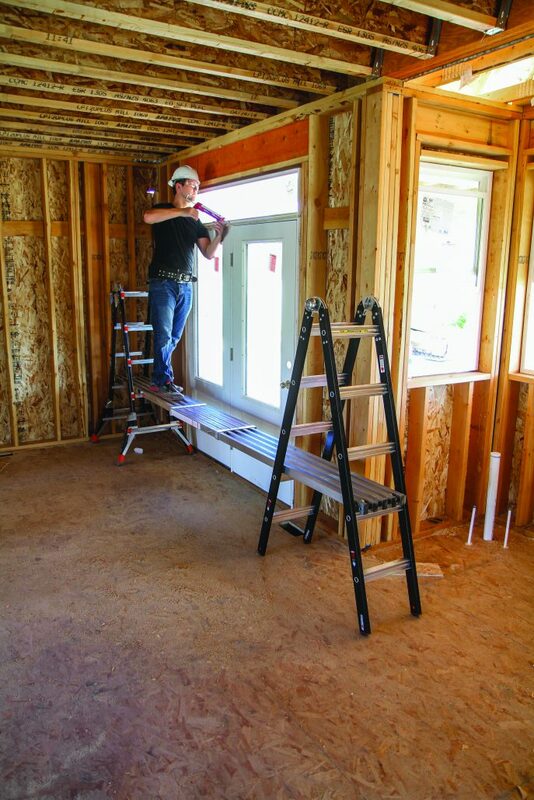 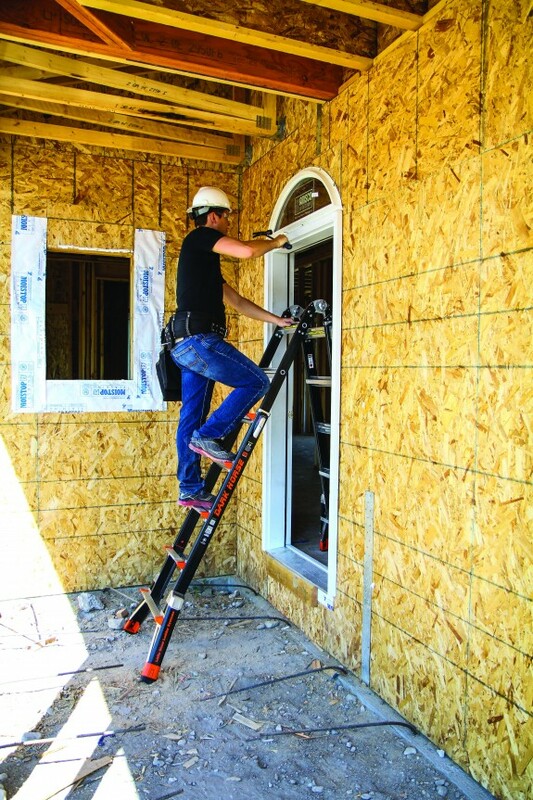 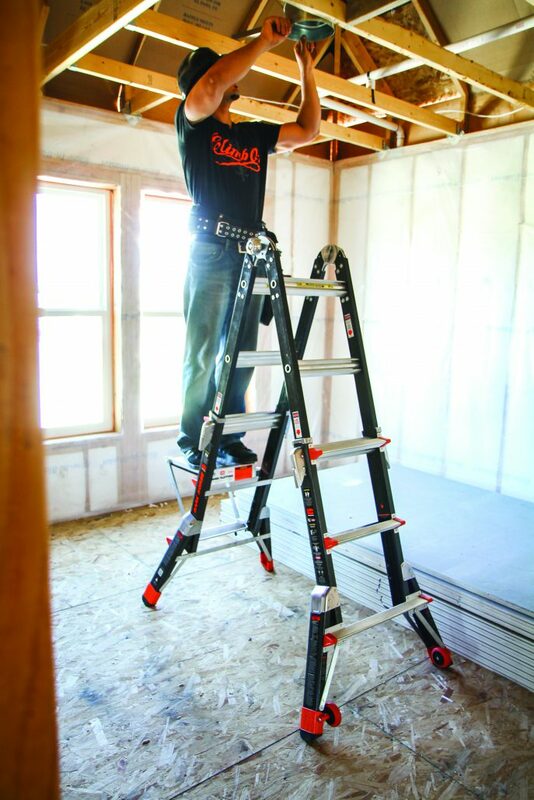 You can use the Little Giant Dark Horse in dozens of unique configurations, including A-frame, extension, and 90-degree ladders. 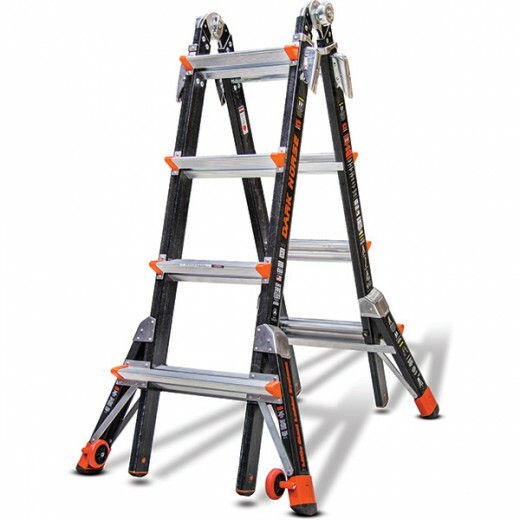 It literally replaces several sizes of stepladders and extension ladders and, unlike any other ladder, allows you to work safely on stairs. 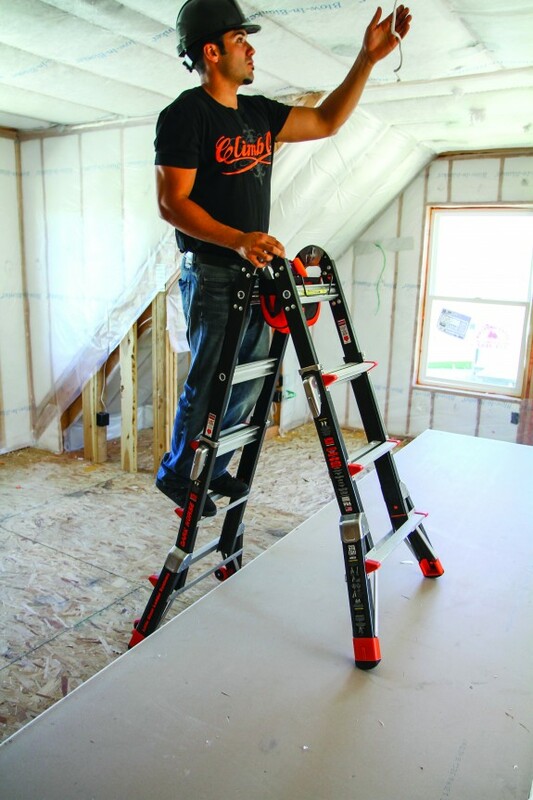 The Dark Horse Ladder is available in 17 and 22-foot sizes.